We haven’t seen much of BioShock Infinite since March, but with the release just around the corner, Irrational Games really needed something to get gamers hyped. After all, Ken Levine said that whatever appeared in this trailer would be pretty much what the world will be getting, so a lot is riding on this one for those still on the fence. Well, Irrational Games 10 day Facebook countdown is up and these undecided buyers don’t have much of an excuse to be wish-washy anymore. This Beast of America trailer knocks it out of the park with one massive adrenaline boosting song. Best of all, it does it with 100% gameplay, although that should be needless to say because the BioShock series prides itself on not resorting to stylized cutscenes telling its story. Yeah, the first trailer that accompanies a BioShock game is always a hyper-stylized CG fest and is totally awesome, but this shows of the actual game you’ll be immersing yourself in for a good few hours. This trailer has it all. We start off with a little exposition as to why our new anonymous protagonist is running around a city in the clouds before diving once again into the mind bending world Irrational Games has set up. It’s a jam packed thrill ride haunted Americana visuals while the new faceless hero guns his way through the insane high-flying action BioShock Infinite is promising to deliver. Set miles above the Earth, drowning beneath an ocean of seawater is no longer a concern, but the ever looming danger of empty space beneath your feet puts these crazy acrobatics worlds beyond what other action games are doing nowadays. I hope everyone else can keep up because it looks like BioShock is back, and it’s ready to knock our socks off. 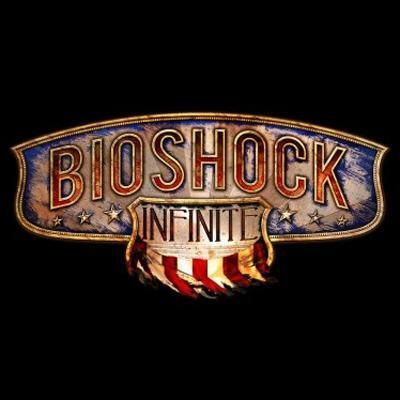 BioShock Infinite will be released for the PC, Xbox 360, and PlayStation 3 on February 26, 2013.